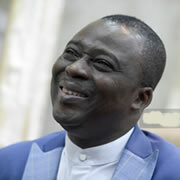 Dr. Daniel Kolawole Olukoya, by the grace of God, is the founder and General Overseer of Mountain of Fire and Miracles Ministries (Worldwide), and The Battle Cry Christian Ministries, (Worldwide). After that meeting, the voice of providence kept calling for subsequent meetings. At these meetings, the power of God came down and verifiable miracles began to happen in the lives of the attending brethren. The power of God began to evangelize the prayer meetings and a spiritual explosion began with people coming from far and wide to seek the face of God.